The Australian Aborigines Progressive Association (AAPA), led by Fred Maynard, operated in Sydney from 1924 to 1927 when it was disbanded due to police harassment. In 1932 in Victoria, William Cooper, Bill Onus and Ebenezer Lovett formed the Australian Aborigines Advancement League which sent a petition to King George V calling for special electorates for Aboriginal people. 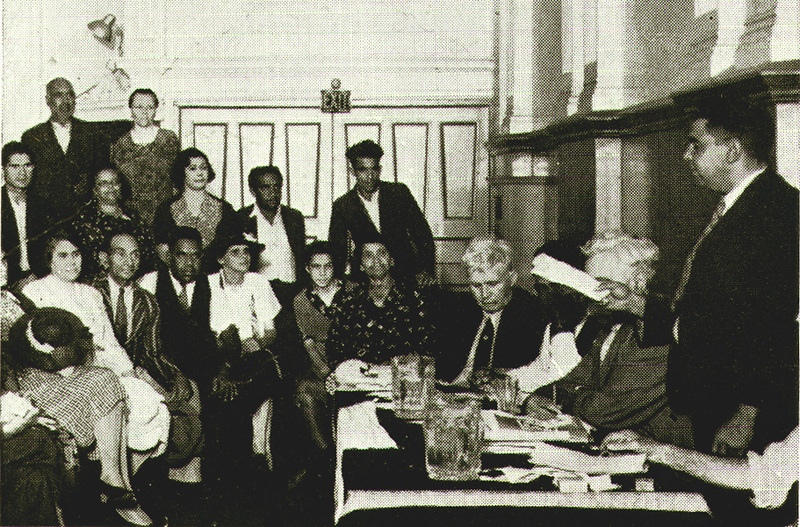 Inspired by Cooper’s league, William Ferguson organised the inaugural meeting of the NSW branch of the Aborigines Progressive Association (APA) in Sydney in 1937. The APA, led by Ferguson and Jack Patten, planned the 1938 ‘Day of Mourning Conference and Protest’ in Sydney, where the Committee for Aboriginal Citizenship Rights was formed. This operated until 1944. The three aims of the APA were full citizenship rights for Aboriginal people, Aboriginal representation in parliament and the abolition of the NSW Aborigines Protection Board. From March 1938, the Australian Abo Call: the voice of the Aborigine was published as the official journal of the APA. 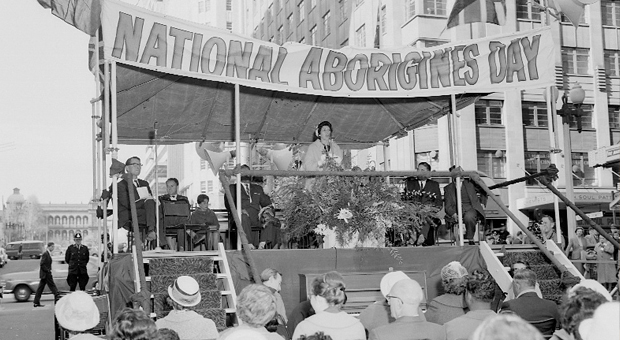 The Aboriginal Australian Fellowship (AAF) functioned from 1956 to 1969, supported by a new generation of activists and supporters such as Pearl Gibbs, Joyce Clague and Faith Bandler. It stood for the principle that Aboriginal people in NSW deserved equality, and fought to have managers abolished from stations. The AAF launched the ‘Vote Yes’ campaign at a public meeting held at Sydney Town Hall on 2 April 1957. The AAF organised the meeting to promote their campaign for a referendum to change the Australian Constitution to give the Federal Government the power to legislate for Aboriginal people. They circulated a petition at this meeting, asking for a change to the federal constitution to enable Aboriginal people to be included in the census and to empower the federal government to make laws that could economically benefit Aboriginal people. Growing out of the AAF, the Foundation for Aboriginal Affairs was established in December 1964 to provide assistance to Aboriginal people living in Sydney. Although it was originally intended as a non-political and non-religious organisation, it soon became an important stepping stone in the push towards community-control within Sydney’s Aboriginal community. The ‘Foundo’ helped with housing, employment, education, welfare, and legal, medical and financial assistance. It was administered by Aboriginal people including Charles Perkins, Chicka Dixon and Ken Brindle, but non-Aboriginal people were also involved in its operations and helped with fundraising events including dances. The Foundation for Aboriginal Affairs bought the old 2UW Theatre at 810–812 George Street for its headquarters, which was officially opened in October 1966 by Eric Willis, then the Chief Secretary of NSW. The organisation folded in 1977 due to a lack of funding and a general shift towards Aboriginal-run and administered organisations. In addition to providing welfare support for Aboriginal people migrating to Sydney from regional areas of NSW, the George Street shopfront was a focal point of a growing Aboriginal and Torres Strait Islander community in Sydney. It was a popular venue for community functions, dances and concerts. Social events featured Aboriginal musicians based in Sydney, such as Jimmy Little, Col Hardy, Candy Williams, the Silver Linings and Black Lace. The Foundation also provided a social and political platform for Charlie Perkins, Chicka Dixon, Paul Coe, Gary Foley and others to agitate about issues including the 1967 Referendum and land rights. 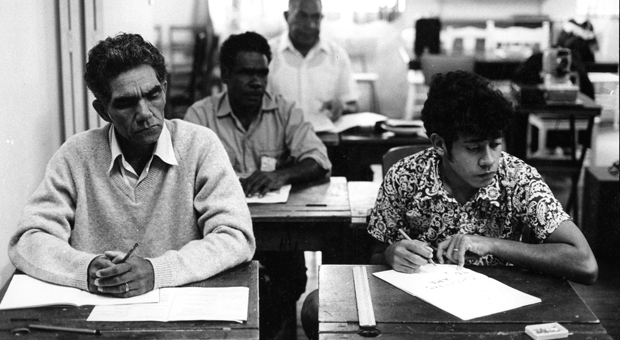 The Federal Council for Aboriginal Advancement (FCAA) was formed in 1958 to agitate for citizenship rights. It was renamed the Federal Council for the Advancement of Aborigines and Torres Strait Islanders (FCAATSI) in 1964. One of the prime movers behind this organisation was Jessie Street (1889-1970), an influential non-Aboriginal social reformer. The organisation was made up of trade unions, churches and ‘do-gooders’ and it was not until the mid-1960s that large numbers of Aboriginal people became involved in the movement. The Communist Party was the only Australian political party which did not include the White Australia Policy as part of their platform and was regarded as a supporter of FCAATSI. 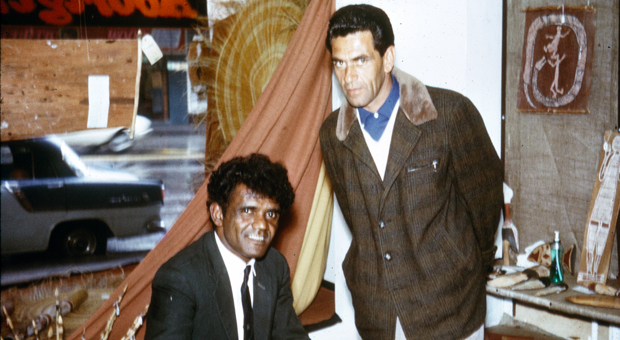 Joe McGuiness, a Sydney waterside worker, became the organisation’s first Aboriginal President from 1961 to 1966. In the lead-up to the 1967 referendum, FCAATSI pushed for equal pay for Aboriginal people and supported their Gurindji brothers and sisters when, in August 1966, they sought better pay by walking off Wave Hill Station in the Northern Territory (where it was an offence to pay award wages to Aboriginal people). FCAATSI worked for equal wages for equal work, rights for Aboriginal and Torres Strait Islander peoples to own and manage their reserves and for an end to social, economic and political discrimination. The organisation also sought international support for their land rights campaign. FCAATSI opposed all forms of mining on Aboriginal land and considered the principle of a republic for Australia. Supported by people like Pat O’Shane, Marcia Langton and Evelyn Scott and many well-known Aboriginal residents of Sydney, FCAATSI also pushed for a policy of free but compulsory education for Aboriginal people. Tranby Aboriginal College is a community-based education cooperative run by and for Aboriginal people. Located in the inner-city suburb of Glebe, Tranby has provided an independent learning environment for Aboriginal and Torres Strait Islander people since it was set up in 1957. Tranby’s parent body is the Co-operative for Aborigines Ltd (formerly the ABM Christian Community Co-operative). 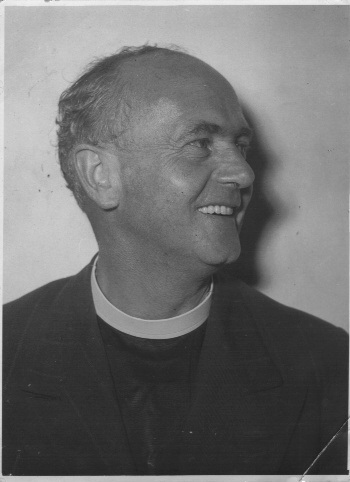 The co-operative was formed under the auspices by the Reverend Alf Clint, an Anglican minister and trade unionist, who had been working with Aboriginal communities in northern Australia since the early 1950s. With the gift of the heritage property Tranby in 1957, the co-operative began to develop courses for adult Aboriginal and Torres Strait Islander students. The Hon G A Kelly, Chief Secretary of NSW and the Minister of Co-operative Societies, officially opened Tranby on 23 February 1959. In 1962 Tranby became fully independent and remains so today. 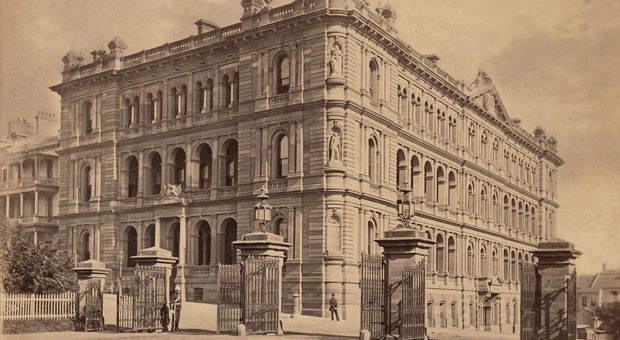 In the early years of its operation, particularly in 1961 and 1962, many students were assisted by scholarships funded by unions, churches, the Sydney City Council and the federal parliamentary Labor Party. These scholarships enabled Aboriginal students at Tranby to be trained in trades, office work, store management and media. The first students at Tranby were residential, but short intensive block release courses are now the common format for correspondence students who live outside Sydney. Apart from providing education, Tranby was proactive in the land rights movement from the early 1970s and in the push for a Royal Commission into Aboriginal Deaths in Custody in the 1990s. Tranby was the focus for much political activity leading up to the 1967 Referendum, including the Vote ‘Yes’ Celebrations on 9 June 1967, and the International Co-operative Day on 14 August in the same year. In 1973 Tranby organised a seminar to alert federal and state members of parliament to the need for Aboriginal input into their work. In 1981 Kevin Cook became the first Aboriginal general secretary of Tranby, followed by Jack Beetson as Executive Director in 1998. The co-operative developed affiliate organisations such as Blackbooks (formerly the Centre for Black Books, 1982), the Aboriginal Development Unit (1986) and the Aboriginal Homeless Persons Hostel (1982), while continuing to be proactive in the land rights movement and the push towards the Royal Commission into Aboriginal Deaths in Custody. In 1998, Tranby was reconfigured and the buildings now reflect the philosophy of the Aboriginal learning circle, with round rooms surrounding a courtyard. The new buildings were designed by architects Julie Cracknell and Peter Lonergan with the Merrima Design Unit. Aboriginal people continue to travel from all over Australia to study and train at Tranby, taking up courses in legal studies, community development and business. 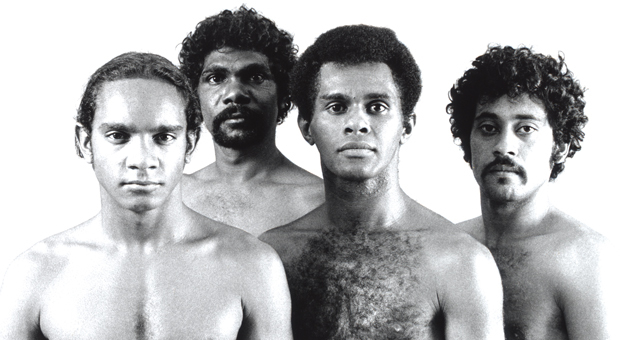 The Metropolitan Local Aboriginal Land Council, known as Metro, was established at the Black Theatre in 1973. Founding members included Allen Madden, Jenny Munro and Sol Bellear. Metro is the custodian of Aboriginal culture and heritage within the Sydney region. 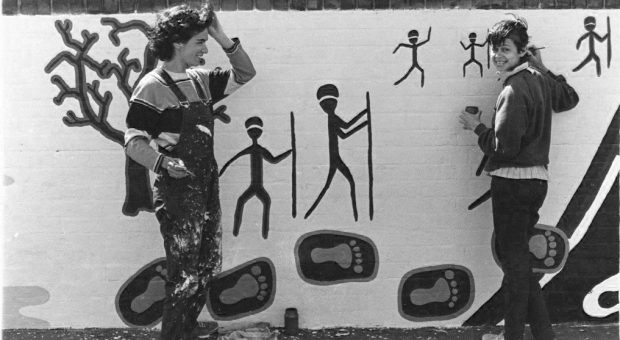 Originally established as the Aboriginal and Islander Skills Development Association (AISDA) in 1975, the National Aboriginal and Islander Skills Development (NAISDA) grew from the visions of several young Sydney-based Aboriginal people for a centre where Aboriginal and Torres Strait Islander people could develop and express themselves through dance. NAISDA claims a number of ‘firsts’ in performing arts and education. It was the first tertiary dance institution established in NSW; the first performing arts and training institution catering to Aboriginal and Torres Strait Islander people; and the first Aboriginal and Torres Strait Islander organisation to be granted diploma status accreditation in dance and related performing arts skills. It is now based at Mount Penang. The NSW Aboriginal Education Consultative Group (AECG) was formed in 1977 and for some time was based in the city in Young Street. Now in the suburb of Stanmore, the AECG is a community-based organisation designed to promote discussion amongst the diverse Aboriginal communities involved in developing Aboriginal education policy in NSW. The AECG focuses on empowerment and self-determination with equity, cultural integrity and the community base fundamental to their beliefs and practices. The organisation advises the NSW Minister for Education and Youth Affairs as well as other key government departments and the NSW Teachers Federation. Jumbunna Indigenous House of Learning is located at the University of Technology, Sydney (UTS). Established by two former Aboriginal students, it is a meeting place for students and staff and provides specialist advice and services including a resource library, computer facilities, and tutorial assistance and counselling. Such support assists Aboriginal and Torres Strait Islander students to participate in a variety of higher education courses. Similarly to Jumbanna at UTS, the Koori Centre at the University of Sydney provides programs, services and facilities to encourage and support Aboriginal and Torres Strait Islander students at the university. The Koori Centre facilitates the teaching of Aboriginal studies and supports research in the field of Aboriginal education. The Koori Centre also maintains close links with Yooroang Garang, the Aboriginal Education Unit in the Faculty of Health Sciences on the University’s Cumberland campus. Established in June 1982, Blackbooks was an initiative of Tranby, and was based at the college’s complex at Glebe. It was the only distributor and retail book outlet owned and controlled by Aboriginal people. Blackbooks carried an extensive range of resources including books, tapes and CDs, flags, posters and arts and crafts. Their annual catalogue listed books specifically by Aboriginal authors. Read more about Blackbooks in Kevin Cook’s publication, co-authored with Heather Goodall, Making Change Happen. The Committee to Defend Black Rights was established in Sydney in 1984 by concerned Aboriginal people and their supporters in response to the events surrounding the death in prison of 16-year-old John Pat from Roebourne in Western Australia. The committee has maintained an ongoing campaign against black deaths in custody with public forums, rallies, pickets and newsletters. In 1986 the Committee held film nights at Tranby and covered a wide range of Aboriginal issues, acting as a way of educating the general public. The Black Deaths in Custody Watch Committee met at the Trades Hall in Goulburn Street for many years and in 2000 moved to Parramatta. Boomalli is an artist-run cooperative which was formed in 1987 by a group of 10 urban Aboriginal artists working across a range of media from painting and photography to sculpture and print making. The word boomalli means ‘to strike’ or ‘make a mark’ in at least three Aboriginal languages: Bandjalung, Kamilaroi/Gamilaraay and Wiradjuri. The cooperative was originally based in a rented warehouse at 18 Meagher Street in Chippendale. In 1993, Boomalli moved to larger premises on nearby Abercrombie Street which provided an exhibition space and artist studios, and it was later relocated to Annandale. After almost a quarter century, the Boomalli cooperative was finally given its first permanent home at 55-57 Flood Street, Leichhardt in 2011. 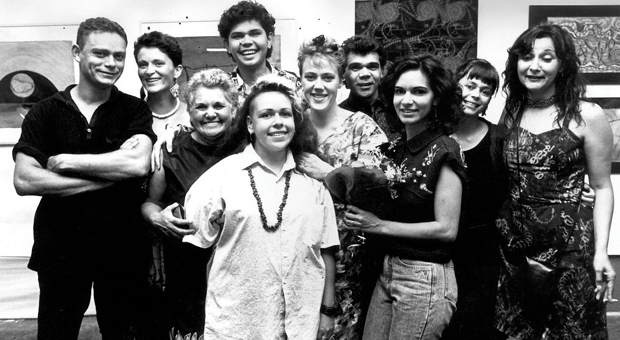 The Building Bridges Association was established in 1988, bringing together some of Australian’s finest musicians – black and white – to promote Aboriginal musicians and to create a forum to highlight Aboriginal issues. This musical movement aimed at building bridges of understanding and respect, while fighting racism, prejudice and ignorance and instilling the belief that Aboriginal and non-Aboriginal people could live together in harmony. Building Bridges was a collection of organisations active in the Aboriginal movement generally and included Tranby Aboriginal College (with Kevin Cook as secretary), the National Unions Coalition, Young Labor, the NSW Aboriginal Land Council, the Australian National Women’s Rock Institute, 2JJJ and 2MMM. The main function of the association was to organise a series of concerts (often with a large non-Aboriginal audience) and the ‘Building Bridges’ concert at Bondi Pavilion on 24 January 1988 was the first. It featured musicians such as Yothu Yindi, Midnight Oil, Scrap Metal, Crowded House, Coloured Stone, Mixed Relations, Kev Carmody, Archie Roach, Toni Janke, the band Weddings, Parties, Anything and guest speaker Gary Foley. ‘Rock for Land Rights’ concerts followed in 1990. A Building Bridges compilation album Australia has a Black History was 47 ‘with a bullet’ in the national charts in March 1989. In 1990 the association received a Certificate of Commendation in the Human Rights Awards. Bangarra Dance Theatre was formed in Sydney in 1989. The company trained at the Walsh Bay wharf complex near Sydney Harbour Bridge since 1997. The dance company continues to use dance, music and song to entertain and educate audiences around the world. 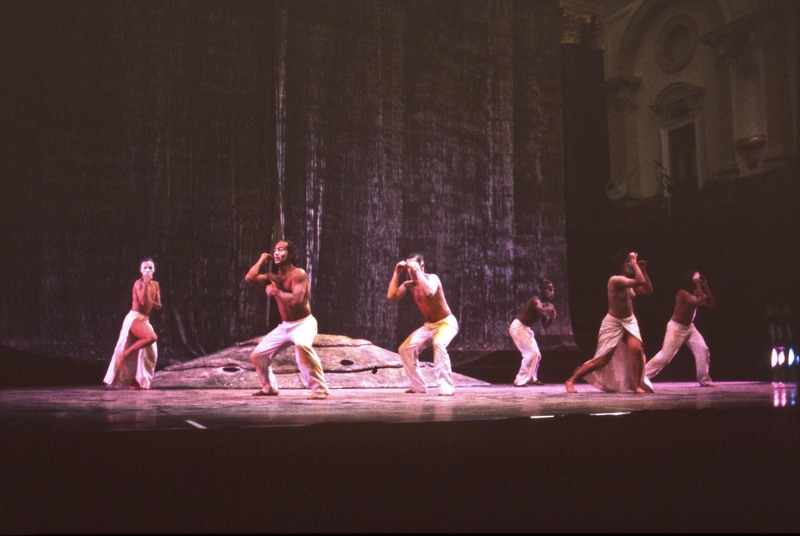 Bangarra has received national and international recognition for their contemporary style of performance using traditional forms of dance from remote areas like Yirrkala in Arnhem Land in northern Australia. Sydney-based National Indigenous Arts Advocacy Association (NIAAA) was formed in the mid-1990s as a national cultural service and advocacy association working for ongoing and increased recognition and protection of the rights of Aboriginal and Torres Strait Islander artists. NIAAA also provides culturally appropriate advice, information, referrals and support services to Aboriginal and Torres Strait Islander artists and organisations. NIAAA produced resources advising on computer-generated artwork and copyright, reproduction of artwork, Aboriginal and Torres Strait Islander dances and issues of cultural and intellectual property. The organisation is concerned about the number of non-Aboriginal artists, writers, and performers that have been incorporating Aboriginal and Torres Strait Islander cultural expression into their works. In 1999 they released the certificate of authenticity to assist in the protection of Aboriginal cultural and intellectual property. The organisation folded in 2002. Aboriginal Nations is an animation studio set up in Chippendale in the late 1990s and now based at Moore Park. Its core activity has been to produce works of cultural significance via the medium of animated film. Aboriginal Nations has trained over 40 Aboriginal and Torres Strait Islander artists in the techniques of traditional and computer assisted animation, many working on a 13 episode series called ‘The Dreaming’. Maureen Watson and her son Tiga Bayles laid the foundations for Radio Redfern in 1981, when they started broadcasting for 10 minutes each week on community radio station 2SER 107.3 FM. 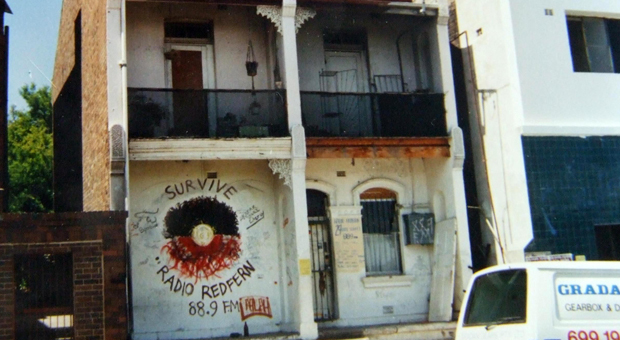 When Radio Skid Row (2RSR 88.9 FM) was allocated a community broadcasting license in 1984, it gave 10 hours of air time weekly to Radio Redfern. 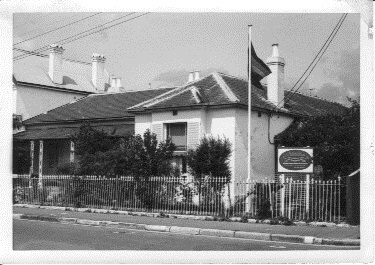 The station was initially broadcast from the University of Sydney, later moving to a terrace house on Cope Street in Redfern, still under the license of 2RSR. 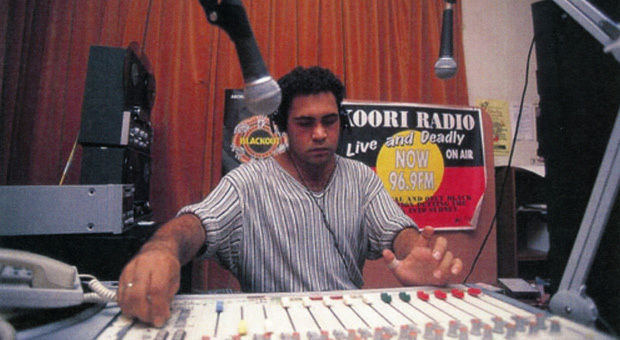 Radio Redfern was considered the voice of the Aboriginal community in Sydney, and played a vital role in coordinating political protests against the Bicentennial celebrations in 1988 and Aboriginal deaths in custody in the early 1990s. Radio Redfern grew to have 40 broadcast hours each week, with all the announcers contributing their time voluntarily. When Radio Redfern stopped broadcasting in the early 1990s, the gap was quickly filled. Aboriginal and Torres Strait Islander owned and operated organisation Gadigal Information Service was founded in 1993. It is a community-based media, arts and information service, and formed in reaction to years of mainstream media portraying Aboriginal and Torres Strait Islander peoples through negative stereotypes. Gadigal broadcasts a full-time radio station, Koori Radio (93.7FM 2LND), to the Sydney metropolitan region. Gadigal Information Service moved from Cleveland Street Chippendale to the old Marrickville Hospital in 1999. In 2005, the Indigenous Land Corporation acquired the buildings on Cope Street that had been occupied by Radio Redfern and the National Black Theatre. A new building to house the recording studios and offices of the Gadigal Information Service was designed by the architectural firm Tonkin Zulaikha Greer, with exterior artwork by Aboriginal artist Adam Hill. The building was opened here in 2008. The National Aboriginal History and Heritage Council (NAHHC) was established in Sydney in July 1996 as the Aboriginal History Committee. It was an incorporated voluntary organisation working for the recognition and preservation of Aboriginal heritage. The organisation grew primarily out of the campaign to save Australian Hall, the 1938 ‘Day of Mourning and Protest’ site at 150-152 Elizabeth Street, Sydney. After a hard six-year struggle, the site is now heritage-listed and owned by the Indigenous Land Corporation. NAHHC had a wide-ranging charter offering support for the development of research and cultural projects, with volunteers running an information and resources centre dealing with all aspects of Aboriginal history and heritage. The NAHHC continues to campaign for the protection of Aboriginal sites and places considered ‘at risk’, and has representatives on the National Parks and Wildlife Service Heritage Committee and the History Council of NSW, the peak history body in the State. Redfern, sitting on the fringes of the City of Sydney, is the oldest surviving urban Aboriginal community in Australia. Within this small inner suburb there are a number of Aboriginal organisations that complement and supplement the work of organisations in the heart of the city. These organisations include the first Aboriginal medical, legal, housing, and child care services, as well as the home of the Black Theatre and the Eora Centre.